Demerara was formally constituted as a Dutch colony in 1745. 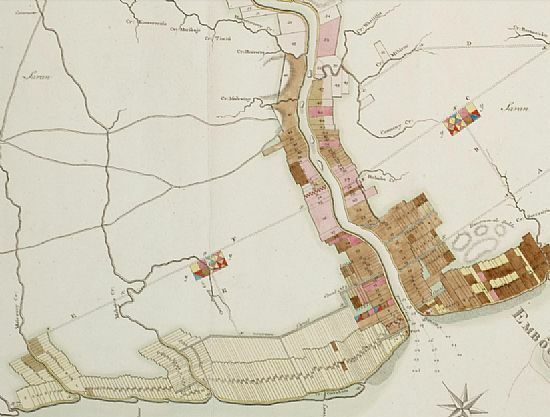 The Director-General of Essequibo and Demerara, Laurens Storm van 's Gravesande, began to grant land on the banks of the river Demerary from 1746 and in 1748 a map produced for van 's Gravesande listed 38 plantation owners in the colony. in 1752 the post of Commander of Demerara, a deputy to the Director-General, was created and filled by van 's Gravesande's son, Jonathan. When he died in 1761, the position was filled by Jonathan's brother-in-law, the land surveyor Laurens van Bercheyck. 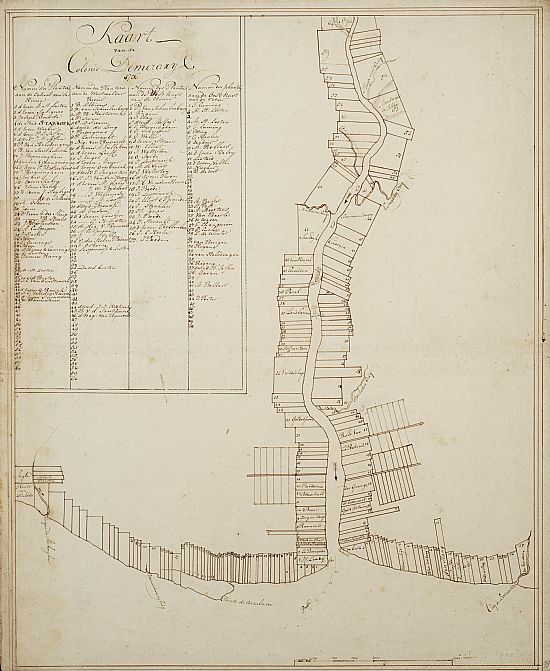 Van Bercheyk's 1759 map of the River Demerary listed 118 plantations. When the French seized the colony in 1782, they build a fort at the entrance to the River Demerary, which was renamed Fort William Frederick when the colony was returned to the Dutch in 1784. The new capital of Stabroek grew up beside the Fort. 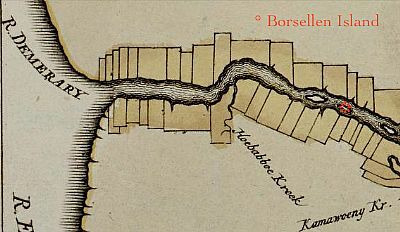 On the map below the pattern of cultivation in 1798 can be seen. Plantations coloured yellow, mainly on the coast, grew cotton; those coloured brown grew coffee; and those coloured pink, sugar. All the plantations upriver of this point had been abandoned.